Santa Barbara, CA – Plastic is everywhere. Plastic is in our kitchens, our bathrooms, our offices, and our cars. It’s likely that no matter where you are right now, you are surrounded with plastic, all of which will likely find its way to a landfill for over a billion years. In 2006, Americans sent almost 60 billion pounds of plastic to landfills. Each hour Americans throw away 2.5 million water bottles. That’s equivalent to 60 million bottles a day and more than 21,000 million bottles a year. With all this plastic going into our landfills and into the Great Pacific Garbage Patch, shouldn’t we try to give up on plastic? Jeanne Haegele asked herself this very question and decided to try to decrease plastic’s presence in her life. In How I Gave Up Plastic, Haegele discusses the difficulties she faced near the beginning of her quest. Yet Haegele began eating more fruits and vegetables and began shopping at stores with bulk bins, which allow customers to refill their own containers. According to her blog, she has not only experienced significant cost savings, but her diet has become much healthier, adding two more reasons to remove some of the plastic from her life. Haegele’s efforts have not gone unnoticed. She appeared on CNN’s front page with a video debuting her struggles and successes. Click here to watch the video. If you’re as interested as we are in using less plastic, you can read more about Haegele’s endeavors on her blog. Also, check back here in the coming weeks to read more about plastic, its effects, and ways to reduce its prevalence in your life. Santa Barbara, CA – As consumers and businesses everywhere are attempting to “go green,” plastic is a topic that everyone seems to be discussing. Cities and governments around the world are banning plastic bags at checkout counters and others are moving away from plastic packaging. The Gulf Oil Spill has also made society question our reliance on petroleum-based products such as plastic. Meanwhile, environmental issues have continued to gain priority on the public agenda. Here at Be Green our mission is to “Live the Color.” TM No only do we attempt to do this in our own lives, but we also try to empower others to do the same. Therefore, Be Green has launched a Plastic Education Campaign to help educate their customers and end users on the effects of plastic and ways to reduce its prevalence in their lives. The campaign will be featured on Be Green’s blog and will include informative articles, case studies, facts, and personal stories. We hope this campaign will help inspire and encourage consumers everywhere to make environmentally conscious decisions in their everyday lives. Santa Barbara, CA – Here at Be Green Packaging LLC, we believe that small actions can lead to big changes. We try to “Live the Color” in both our personal and professional lives. 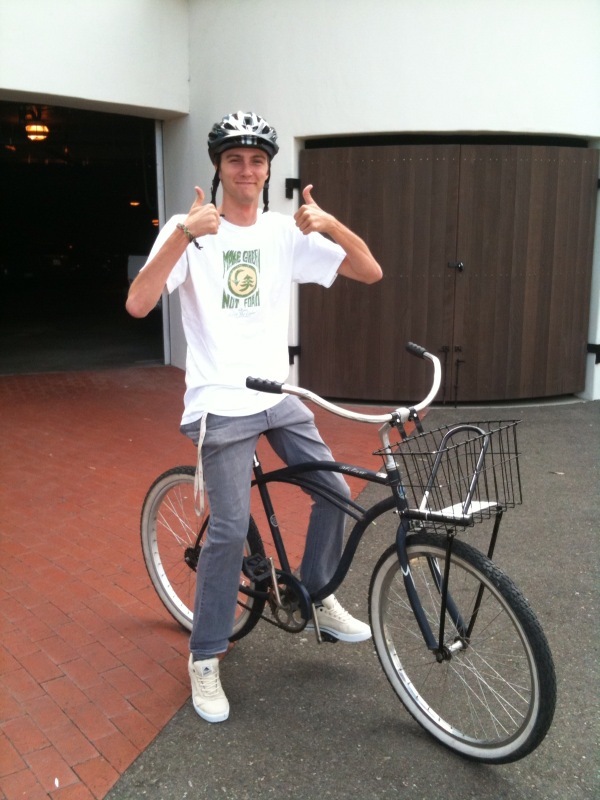 As part of this effort, Be Green purchased a bicycle for its employees to use for errands around our headquarters in Santa Barbara. Our CEO, Ron Blitzer, took the bike for its maiden voyage to the bank. During the month of May, the Bicycle Coalition, the City of Santa Barbara, and Traffic Solutions, promote activities that encourage people to enjoy bicycling more. They have entitled this effort Cycle MAYnia. Be Green may be late in joining the festivities, but we believe it is better late than never! 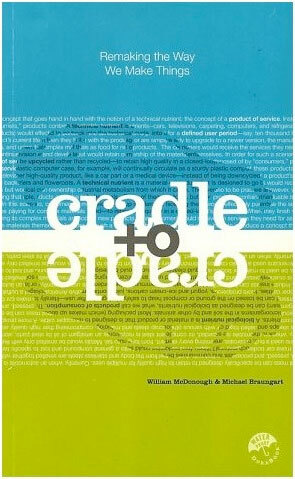 “Cradle to Cradle,” by William McDonough & Michael Braungart, has been selected to be Be Green Packaging’s Book of the Month. Read “Cradle to Cradle” by the end of June, take our quiz (available on our blog near the end of June) and you could win a T-Shirt, a free copy of July’s book of the month, or other great prizes. Start reading today! 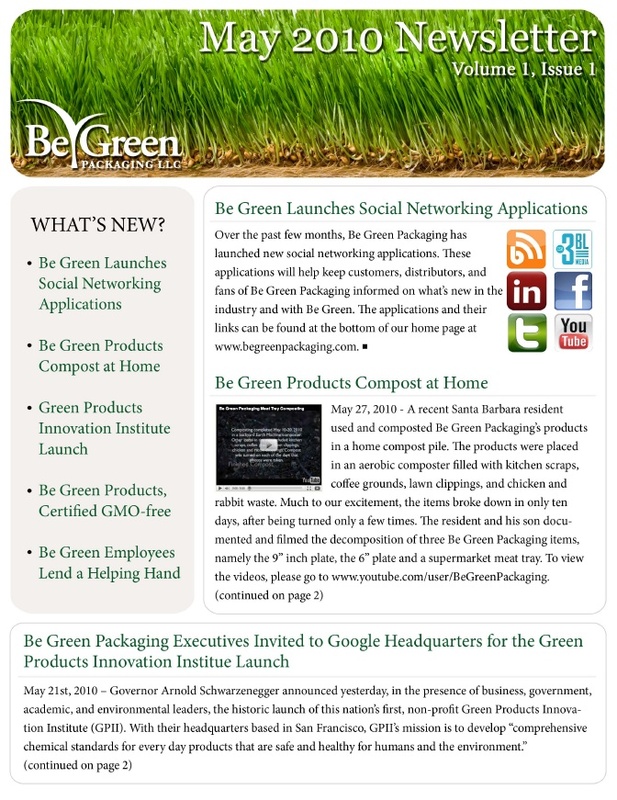 Be Green Packaging now has a monthly newsletter. Click here to download. What happened in May at Be Green?